Ibikunle Amosunis a Nigerian politician who was elected Senator for the Ogun Central district of Ogun State, Nigeria in April 2003. In April 2007 he made an unsuccessful bid to be elected governor of Ogun State. He ran for Governor again on 2011, and this time was elected on the Action Congress of Nigeria (ACN) platform. He ran for office for the 2nd Term in 2015 and won and was re-elected and sworn into office May 29, 2015. Even after elected governor he still goes with the title; Senator Ibikunle Amosun AKA SIA. Amosun was born on 25 January 1958 to a Muslim family. He attended primary school at African Church Primary school in Abeokuta (1965–1970), and then African Church Grammar school, Abeokuta (1971 – 1977). He then went to Ogun State Polytechnic, graduating with a Higher National Diploma (HND) in 1983. Amosun gained an Associate membership of the Institute of Chartered Accountants of Nigeria (ICAN) in 1990. He became a fellow of the Institute in 1996. He also became an Associate member of the Chartered Institute of Taxation of Nigeria (1998). Amosun began his career as an audit trainee with Lanre Aremu & Co. (Chartered Accountants) 1984. Later he joined XtraEdge Consulting as a managing consultant. From 1990 he was Principal partner of Ibikunle Amosun & Co. (Chartered Accountants) in Lagos. Amosun went to the University of Westminster in London, United Kingdom, where he acquired a Master of Arts in International Finance in 2000. In April 2003, Ibikunle Amosun was elected to the senatorial seat of Ogun Central Senatorial district. He was an unsuccessful candidate to become Governor of Ogun State in April 2007, running on the All Nigeria People’s Party (ANPP) platform, but was defeated by Gbenga Daniel. He disputed the result, but in August 2009 the Ogun State Election Petitions Tribunal dismissed the petition. Amosun lived up to his status as a Distinguished Senator by amplifying the voice of the masses. He moved several motions and sponsored many bills on issues that touched on the day-to-day lives of not only members of his immediate constituency, but also Ogun State and the nation in general. 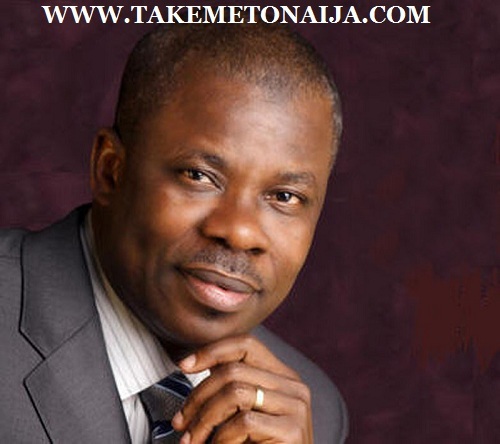 Amosun was the candidate of the Action Congress of Nigeria (ACN) for April 2011 Ogun State gubernatorial election. A report in the Nigerian Tribune on 12 February 2011 quoted his media aide as saying he had switched to the Congress for Progressive Change (CPC), but this was denied by ACN officials. Amosun won the 26 April election running on the ACN platform with 377,489 votes. Adetunji Olurin of the People’s Democratic Party (PDP) polled 188,698 votes and Gboyega Isiaka of the PPN came third with 137,051 votes. In 2015 Amosun stood for a second term as governor. He chose, Yetunde Onanuga, as his running mate of the state governor. He had to find a new running mate as his previous deputy governor had defected to an opposition party. Amosun chose Onanuga who had been working in the Lagos State Ministry of Environment over three other possible candidates. A social welfarist, he believes that the rich are obligated to cater for the poor and underprivileged in the society. His government policy thrust is anchored on a strong partnership between public and private sectors. While the government has the responsibility to provide the enabling environment, to achieve sustainable economic growth and social development, the private sector must play the pivotal role. Senator Amosun’s work rate and capability for critical thinking remain his core leadership attributes, in addition to commitment to transparency and accountability. He approaches every responsibility and task with an infectious passion, commitment and perseverance. A hands-on leader who leads by example, he has the knack to identify, assemble, and nurture talents to create motivated teams with capacity to deliver optimal outcomes. SIA believes that the provision of amenities and social development cannot be left to government alone. He therefore instituted a scholarship scheme in 1986, several years before venturing into politics, which he later institutionalized by setting up the Senator Ibikunle Amosun Scholarship Foundation (SIASF) on Thursday, 7 July 2005. He has awarded scholarships to over 1,000 students of Ogun State origin, in various institutions of higher learning. A consummate philanthropist, Senator Amosun’s generosity and quest to uplift others transcend the award of scholarships. He has instituted various other subsisting empowerment initiatives for trade groups, artisans, communities, women and other vulnerable groups in the society. His Alma Maters – African Church Grammar School, Abeokuta and Ogun State Polytechnic (now Moshood Abiola Polytechnic), also in Abeokuta – have benefited from his generous disposition to give back to the society. He built and commissioned the Administrative Block at African Church Grammar School, among other similar gestures.